Picking up on a theme we touched on last week, ESPN’s John Clayton points out that going young is the way to go for the Cleveland Browns. At the skill positions on offense, the 25-year-old Mohamed Massaquoi is the old man of a group of wide receivers that includes supplemental-pick Josh Gordon (21), fourth-round pick Travis Benjamin (24), second-year receiver Greg Little (23) and Carlton Mitchell (24). 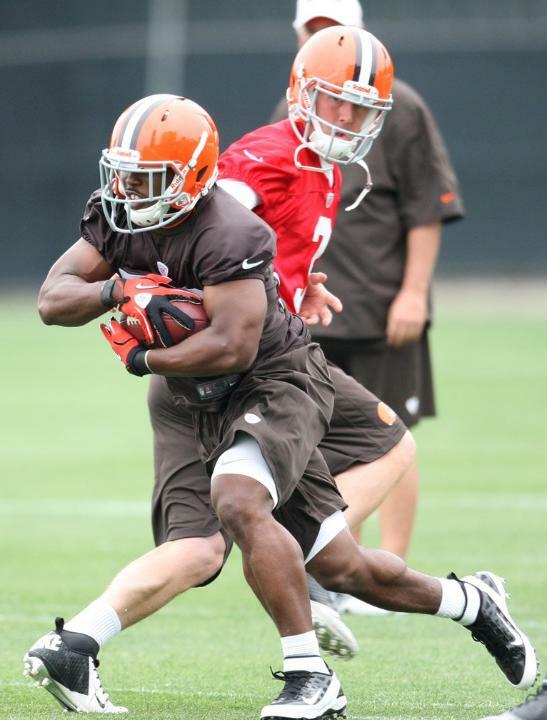 Rookie Trent Richardson (21) will presumably be the starter at running back. Quarterback Brandon Weeden, who will be 29 in October, throws off the curve a bit, but in a short time the team has gotten younger at key positions. History tells Browns fans to be patient. Teams have been successful going young at the skill positions, but in most cases, the growing pains hurt them in the first year. Going young is the right way for the Browns to go, but it will take time for everything to come together. Clayton offers some recent examples of other NFL teams that committed to a core group of skill players that were all under the age of 25, citing the 2009 Bears (7-9), ’09 Giants (8-8) and the ’09 Raiders (5-11, but that was with JaMarcus Russell. Once the Raiders moved on, they’ve gone 8-8 in the past two seasons). The other example? The 2009 Eagles, who went 11-5 with a group of players that included LeSean McCoy (22), Jeremy Maclin (22), DeSean Jackson (23) and Brent Celek (25). Of course they had Donovan McNabb, rather than a rookie, at quarterback. And who was general manager of the Eagles then? None other than current Browns GM Tom Heckert. While it is clear the Browns are still not a finished product and will very likely take some serious lumps on the field this fall, there is reason to hope that history may finally be on the team’s side.